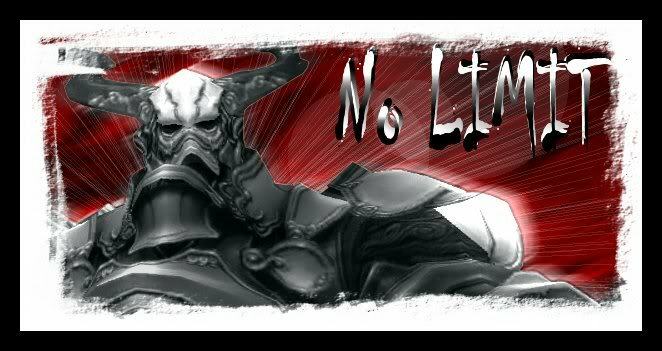 Nolimit Linkshell was created by Malikite back in the day and mainly focused on SKY. We are impossible to gauge lazy noobs! Mali has since quit and was replaced by one of our sacs Fabi. Fabi got shipped off somewhere for the military and was replaced by another sac Rurouni. Rurouni is joining the military and has now been replace by Dreamsaver. We are currently running Sky and Limbus and will soon branch to Sea/ZNM/etc. The constant in Nolimit is NO DRAMA. It will only lead to 2 things: 1 - you will be kicked, 2 - you will be laughed at and then kicked making you the brunt of jokes going forward. We now have a Dynamis LS also NoNamis Please read those rules and post your application there for NoNamis. Thank You.